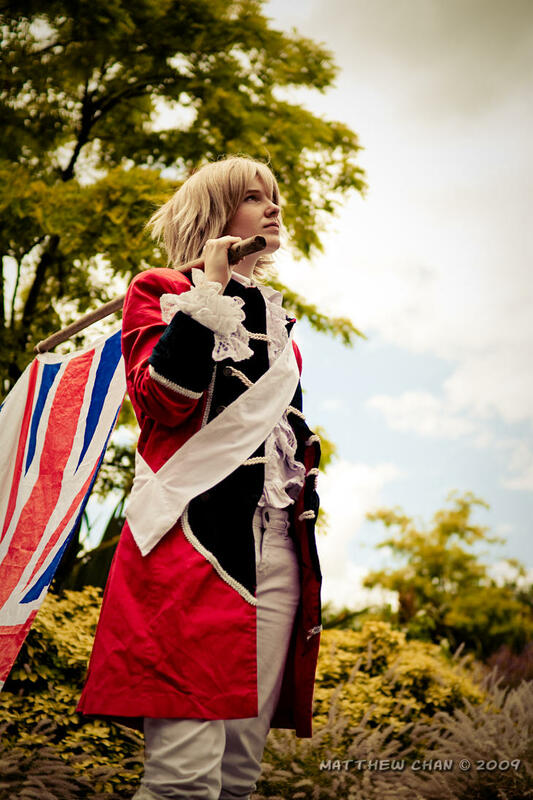 Recently we showed you how to cosplay as America, now we give you a how to for England, who was responsible for watching over him for years and taught him his bad taste for food. After the Revolutionary war broke out, America fought him for his independence. Now England often gets drunk around the Fourth of July and curses America to all who can listen. England’s real name is Arthur Kirkland. He is a gentleman, yet cynical, and can barrage you with a load of curse words. He has the ability to interact with spirits. What characterises his look: Short blond hair, green eyes, and a green military uniform. 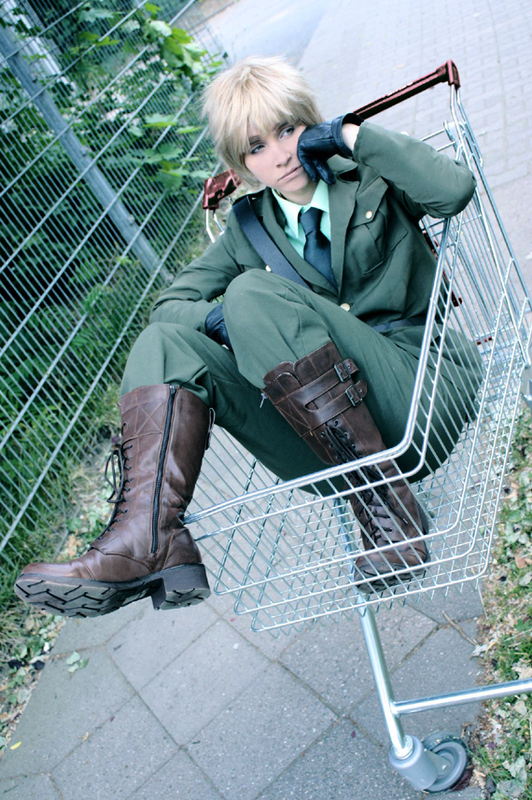 Once again, the best place to shop when shopping for Hetalia is your local army surplus store. If you can find stuff there before beginning this tutorial, then you’ve already saved yourself some money. Plus, it’s often genuine. Look for that green WWII uniform there. If you couldn’t find anything or want to do it yourself, read on. 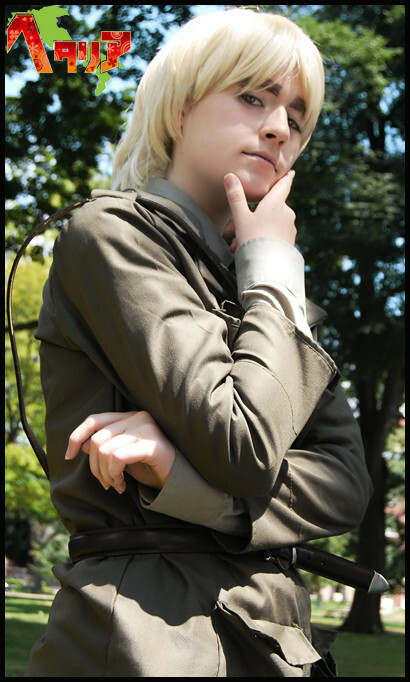 What most people often have trouble with this aph costume is actually the eyebrows. Weird, huh? It’s because most people don’t naturally have the thick eyebrows England has. The belt that England wears is called a Sam Browne Belt. That will definitely help you in your search. If you want to buy boots they might be expensive, so you can try to buy these boots, and then making them into a more military style using this tutorial. If you can’t find the jacket anywhere, you’re going to have to make it yourself. Keep in mind, creating military style jackets from scratch isn’t easy. The best pattern we could find to start off with England’s uniform is the 2340 pattern here. You’re going to have to change it up some, but it’s a good base. If you don’t want to change it so much this is a good pattern also, but if you don’t change it, it won’t look perfect. Twill will work as a fabric. 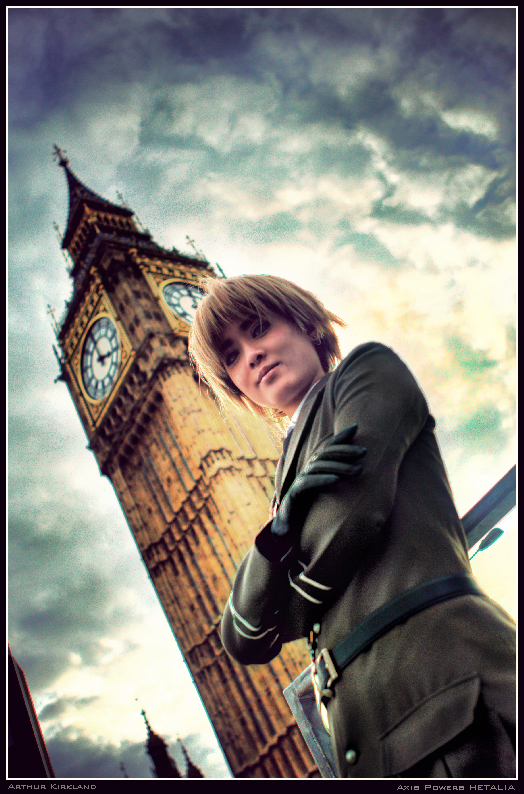 When cosplaying as England, remember to get his trademark looks down. The best pictures we’ve seen also have him in a good location such as the one above with the clocktower. Good luck! 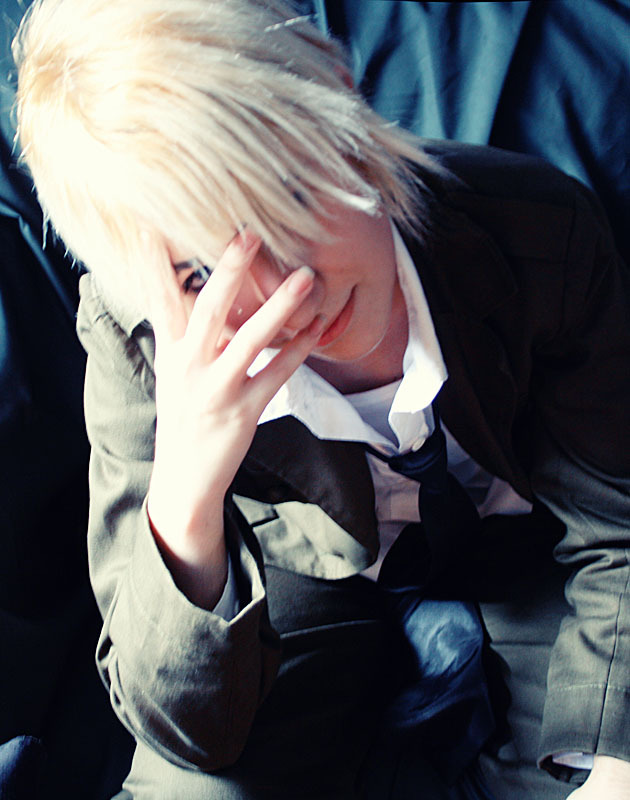 Keep following for more Hetalia cosplays. If you finish your England costume, why not try something more challenging? How about his pirate or revolutionary war costume? This entry was posted in Hetalia. Bookmark the permalink. The Next Popular Cosplay? Harry Potter.